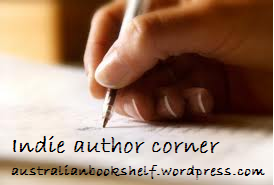 The Indie Author Corner, is a tool to help independently published authors promote their writing by introducing themselves and their books on my blog. If you are an indie author and would like to be included as a book feature please read this sign-up post. Synopsis: When Ania moves from London to Swansea city in Wales she is hoping that her life will get a bit more exciting, after all she is running away from her controlling mother to taste more freedom and feel more independent. Everything seems to be going the way she wanted until she almost dies while taking a quiet walk around the beach in the late evening. When she opens her eyes, nothing seems the same… She starts seeing people that no one else is able to notice. An enchanting looking man keeps following her and Ania’s life seems to getting more exciting than she ever wished for. After the attack something changes inside her, she has been blessed with the new frightening gift of seeing and hearing sprites all around her… the magical creatures that only existed in folklore, myths and legends of Britain. Gabriel is attractive and handsome but no … he is not a vampire. He keeps coming back and Ania feels an instant connection between them but this might get her into more trouble. Supernatural romance is not on her mind right now. Because he is forbidden to even touch her … the line between the death and love has never been so thin and the sprites won’t stop whispering until … she will choose to love or abandon Gabriel. 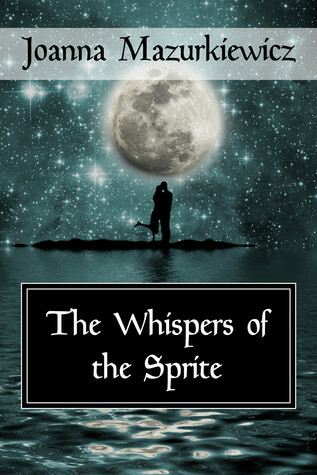 If you would like to enter to win an ebook copy of The Whispers of the Sprite, please leave a comment below with your name, email address and the country in which you reside. This is an international giveaway. Entries close midnight 26th October 2012 (Syd time) and the winner will be drawn via random.org and contacted via email. Thank you for the giveaway. The book sounds very interesting, I’ve added it to my wishlist. I’m loving the idea of sprites. I know little about them though.